In LR v7.4, the first thing that I generally do is to set both the white & black points. However, I noticed that if I set these points after moving one of the other Tone sliders, the values of the white & black points will be different (compared to setting them first). This is understandable. My question is: Is there a logical reason when to set the black & white points in post-processing? Thank you kindly. Those points are a good place to begin, but they are a somewhat arbitrary setting, since they only reveal technical - not aesthetic - standards set by the developers. Pushing those points, as I often do as an architectural photographer, can reveal important information that strictly adhering to the standards would not. There is sometimes a price, however; it could be noise in the shadows or the dreaded "HDR" halos, looks which are not appropriate for the formal rules of architectural photography. These issues can be mitigated, of course, using noise reduction or vibrance or clarity settings or any number of other ways. In the end, it comes down to your taste (as does everything, of course), and the requirements of the market. One of the things I love about LR is that with every iteration, there are a few more ways to push what is possible with any file. Barry: Point well-taken. The trade-off between technical standards & subjective aesthetics is certainly a matter of personal preferences & objective standards. Thank you. Setting white point and black point first is definitely a time-honored best practice when working with traditional scanned images in Photoshop. But if you're editing raw images, they're not traditional scanned images, and this isn't in Photoshop. The fact that they're raw images means a different approach can be taken for potentially better image quality than images already converted to RGB (as scanned images are). The developers of Lightroom (and Camera Raw) designed the Basic panel to be used more or less from the top down. That’s not a requirement, but it's their recommendation. The Whites and Blacks sliders are not at the top, which means they are not normally intended to be the first adjustment. Raw processing in Lightroom is designed to start with Exposure and work your way out from there. Whites and Blacks are positioned where they are in the stack as a later stage correction, to be used only if needed. After adjusting Exposure, Contrast, Highlights and Shadows, the Whites and Blacks sliders can be tuned to avoid clipping or optimize the final tonal range. In the end, you do what works best in your judgment, but as far as the software was designed, Whites and Blacks are intended to be more of a secondary edit, not primary. Conrad: I have always understood that following the sequence of adjustments in the Basic Panel was the intention of the developers at Adobe. And, I have generally followed that sequence. Of course, there are times when a specific Raw image warrants deviation from that "top-down" approach. So, I certainly concur with your logic. And, as a side note, who would I be to dispute the likes of Schewe, Victoria & the genius behind the development of Lightroom? Thanks for taking the time for a thoughtful explanation. All very reasonable, but in practice use of the sliders is often iterative. iterative. For example, if you set the black point and then add Clarity you will generally have clipped blacks and need (or want) to reset it. I follow the top down sequence when I'm not using Auto. As for Clarity I have base setting that auto applies at import that I rarely adjust. Another issue is how the files come out of the camera. For instance, I have two cameras that do not have anti-aliasing filters, and so need less sharpening and reduced clarity to look good - that's where importing with presets specific to each of those cameras saves a lot of time. You can control that at import with the Develop Default Settings. You can also control Auto settings. This was from another thread. Editing in Lr is very different to Ps. Ps is a pixel editor and the order of editing is absolutely crucial to a good result. Lr, on the other hand, is a parametric editor. Edits are not applied to an image at the pixel level until a derivative image (TIFF, JPEG, DNG, etc) is created from the original raw image along with the parametric editing data. Furthermore, only the net result of all the edits is applied at the pixel level. Although my statement concerning the order of edits in the previous paragraph still stands in its context there are better, and less better, approaches to editing raw images in a parametric image editor. My strong recommendation is to edit from the inside out. This is roughly opposite to the accepted wisdom of editing in a pixel editor. What this means is to start with the mid-zones, then move to the highlights and shadows, and then migrate to the whites and blacks. In conceptual terms anyway the final edit (for tones) is the clarity slider. In practical terms, however, small remedial adjustments may need to be made as the editing process proceeds. It also needs to be understood that the algorithms behind the tonal sliders (and tone curve) are image adaptive. What this means is that any slider manipulations are not absolute from one image to another. In other words moving a slider x units to the left or right will not have exactly the same effect from one image to another. Astute readers may assume that what I am advocating is just the "accepted wisdom" of top-down tonal editing so beloved of Lr commentators, but actually it is not. Thirdly, while the contrast slider certainly increases mid-tone contrast it has the effect of reducing contrast in the highlight and shadow areas and it is a very blunt tool in this respect. However, getting tonality correct in the both the shadow and highlight areas of an image, and normally, one is looking to increase local contrast in these areas. Unfortunately, the global contrast slider has the opposite effect and its effects are difficult to overcome. So, the solution is to ignore the contrast slider and instead use a combination of the highlights and whites slider, and then the shadows and blacks slider to adjust the highlights and shadows independently of the other. How, does one use the highlights slider and the whites slider, and then the shadows and blacks sliders in combination? Often, one is wanting to increase contrast in the shadows and highlights, just in differing proportions. The way to do this is to reduce the highlights slider but increase the whites slider. This increases contrast in the highlights. In a landscape image with white puffy clouds that appear blown and without detail astonishing amounts of detail can be be extracted. The principle for dealing with the shadows is exactly the same. Lift the shadows but reduce the blacks slider will increase shadow contrast and improve discernible shadow detail. The beauty of this approach is that the shadows and highlights can be adjusted independently of the other. However, certain principles do shine through! Obviously, it not generally a good idea to push the whites slider so far as to blow the lightest tones. (Specular highlights may be an exception.) In a landscape image I will often push the whites to just shy of clipping. How far to go in other types of images will be dependent on whether any true whites are present or not. How far to reduce the highlights and increase the shadows is also a matter of aesthetic taste. In landscape images I will often max out the possible slider manipulations. So, I will frequently increase the shadows and reduce to the highlights as much as possible before manipulating the whites and blacks. Other types of images may not require such extensive manipulation of either shadows or highlights. So far, in conceptual terms, the overall tonality of the image has been corrected (via the exposure slider) and the highlights and shadows have been adjusted independently of the other. In general, the result of the above editing will have reduced mid-tone contrast substantially! However, there is a slider that is designed specifically with this issue in mind. And that slider is the clarity slider. Increasing the clarity restores the mid-tone contrast although its effect is on local contrast. Because it is an image-adaptive edit it seems to have more effect in areas of reduced contrast - the mid-zones in this case. I will often make small adjustments to both the blacks and whites slider after applying a clarity slider edit. This is normal! Although the tone curve is a very powerful way to adjust tonality, my suggestion is to master the above sliders before trying to edit images using the the tone curve. In addition, the tone curve is not designed as a substitute for the basic panel tonality sliders, but rather as another tool to be used in a complementary fashion after the Basic panel edits have been completed. My suggestion is to get to know what each of the Basic panel sliders really do. The best way to do this is to max out the adjustment of each slider in turn to see what it is doing and then pull back the setting to a more reasonable setting according to aesthetic needs. Understand that some sliders are designed to be used in combination (whites/highlights and blacks/shadows). 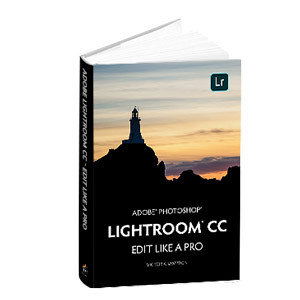 Also understand that Lightroom has been designed for beginners as well as experts. What this means is that 'auto tone' is for complete novices who have no idea, and the results using 'auto tone' vary from vaguely acceptable to downright horrible depending on the starting image. The contrast slider is also for beginners who need to adjust mid-tone contrast (with the consequent unpleasant side-effects for both highlight and shadow contrast). In contrast (pardon the pun) my advice is aimed at those who aspire to becoming very accomplished image editors using Lightroom as their preferred parametric editor. Once one becomes conversant with the abilities of the Basic panel sliders, and just as importantly, has a pretty good idea of what needs to be done with an image from an aesthetic and artistic perspective, then actually editing that image (from a tonal perspective, anyway) only takes seconds. Even if I need to round-trip a couple, or more times, around each of the sliders to fine-tune that image, it still only takes seconds! In fact it has taken a truck-load of time to type this reply, but a fraction of the time would have been sufficient to actually demonstrate all these principles in Lightroom - complete with explanations! To add just a little to Tony's tour de force, I've also found viewing the histogram with an image of a grey wedge, as used by George Jardine for example, gives a decent idea of how the different sliders affect the tones (subject to the usual image adaptive caveat, I assume). As the OP, my sincere complements to Tony for taking the time to clearly explain some of the finer points of tonal adjustment. Although I have stumbled upon some of these aforementioned effects on tonality, Tony has presented them in an excellent contextual framework. Nicely done, mate!! The contrast slider is also for beginners who need to adjust mid-tone contrast (with the consequent unpleasant side-effects for both highlight and shadow contrast). When you say ignore the contrast slider do you mean leave the slider at its default position ? It turns out that my editing approach is essentially the same as Tony’s…that’s a complete coincidence, other than we probably both read the guidance Adobe has given. As I read Tony’s post, I kept thinking “Yes, yes...that's exactly the order I do it, and for the same reasons.” Right down to not using Contrast. I rarely move that away from 0. If I want a contrast curve, I often don't want it to be a symmetrical S-curve centered on the midtone (which is what I think the Contrast slider is), so I'll shape my own in the Tone Curve. I also agree completely with the Tone Curve being a late fine-tuning step. There are many images where I never need the Tone Curve, because the adaptive Basic controls (except Contrast) do a more intelligent job on general tonal corrections and highlight/shadow detail. If I decide to use the Tone Curve, it's usually for a contrast adjustment targeting a very specific tonal range, for example, trying to get more tonal definition in foliage or stone. I only mention that last part because the question does comes up, especially from Photoshop veterans, as to whether it’s OK, or maybe even better, to use the familiar Tone Curve instead of the Basic controls, under the assumption that they're achieving the same result in a different way. But they don't correct in the same way, and that is a good thing because they can complement each other. But with the Basic controls used first. At first I (and many others) did not like Sensei's take on contrast. I created a preset to get it back to 0. Over time I started to appreciate what it was doing. I noticed it was opening up darker areas so you could see more detail. They looked less plugged up so over time I stopped setting it back tp 0 for each file. I recently installed JF's personalized Auto tone and and experimenting with reducing what Sensei thinks contrast should be by 50%. I normally use Canon's Standard for most everything (expect people) because I Iike the punch for my wildlife shots so that may have something to do with it. I also reduced vibrance by 50%. So far I'm liking the look between those two adjustments. Tony - I'd like to thank you for your very informative and well written response. I continue to learn more about this powerful program, but I learned more about the relationship between shadow contrast / mid tone contrast / highlights contrast from your comment than from multiple (often contradictory) LR videos which I have seen. Thank you for your kind comments - I am very pleased that I have furthered your understanding! My strong recommendation is to edit from the inside out. Great post Tony Jay, and I really like that inside out picture.